You’ll be spoilt for choice with a smorgasbord of dining options in Hong Kong, with traditional Cantonese cuisine, European fare and even a burger and fries. Where to Eat? 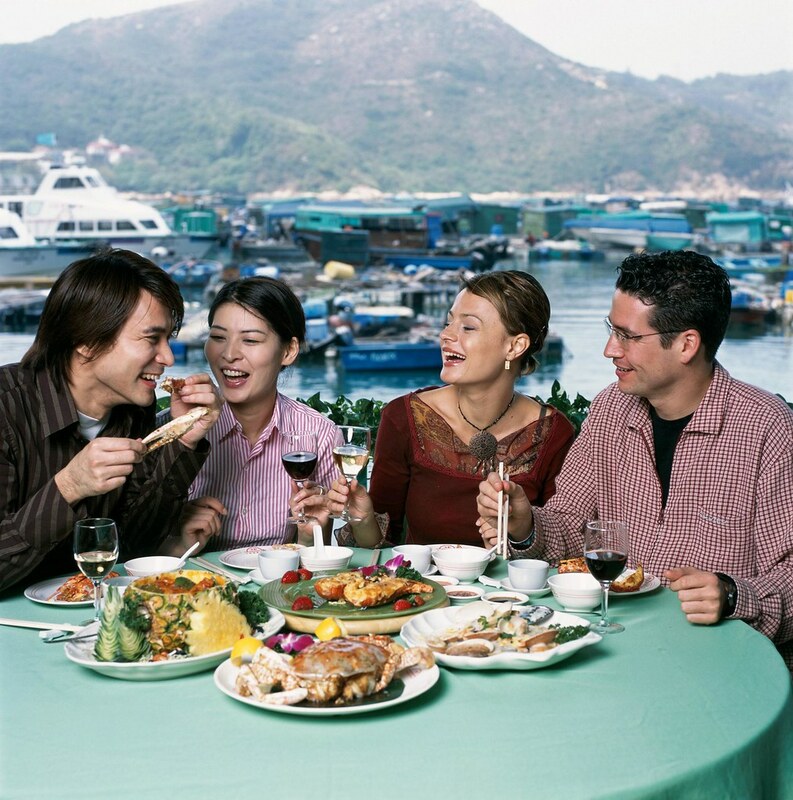 The choice of restaurants in Hong Kong is overwhelming – there are over 9,000. You can choose any number of ethnic flavours and standards from world-class five star Michelin to delightful and authentic street vendors. Depending on how adventurous your family is, you can make your visit to Hong Kong a complete culinary experience. When people talk about Chinese food outside of China, it’s most likely Cantonese. Because most of the Chinese who travelled the world came from Guangdong (Canton), the international ‘Chinese’ meal stems from their incredibly varied and delicate recipes. It’s easy to find ‘Chinese’ meals in any big city, but you won’t find Cantonese anywhere like in Hong Kong. Authentic Cantonese cooking is performed like an art. Ingredients and spices like ginger and soy sauces are chosen with great care and cooked with precision. Cantonese kitchens are always hot, noisy and steamy because the process of preparation will always take precedence over the comfort of the cook. To observe a Cantonese master chef in action is almost theatrical. The freshest ingredients are added at precisely the right moment, tossed stirred and served with all the aplomb of a true creative genius. Hong Kong chefs, like rock stars, are very creative and competitive and cultivate followings wherever they go. Hong Kong’s own style of Cantonese is considered a refined and artistically enhanced form of the traditional style. Recently opened, this new Cantonese restaurant is a little pricey but offers a wonderfully authentic and visually exciting menu. With such alluringly named dishes – almond cream sweet soup, snake soup and bamboo fungus with double boiled essence of toad – you know you’re in for a treat. The signature dish (translated), ‘drunken shrimp on fire’, is served as a marvellous tableside show. Green Island is also recently opened and places more emphasis on funky décor and hip staff than award-winning cuisine. Sure to impress any teens in your family, the English menu is a bonus and includes such creations as deep-fried peanut butter sandwich doused in syrup. Mmmm! Traditionalists, don’t worry, can still enjoy decent local fare and be sure to try the <geung mutt>, or ginger honey tea. Authentic and a bit rough around the edges, Ngau Kee’s diner is a great example of a traditional dai pai dong (open air food stall). Not everything will appeal, so choose carefully. Dishes are often experimental, using familiar ingredients in unusual ways – a wonderful trait in Hong Kong. The beef is better than the pork, but don’t be put off, this café is a true Hong Kong experience. The traditional and internationally popular form of Chinese fast food, most people have experienced <dim sum> at home. If you haven’t, then Hong Kong is a great place to start. Steamed pork buns, shrimp dumplings, beef balls and pan-fried squid with spicy salt are just some of the local favourites. But extend yourself and try some of the more exotic varieties like fried water chestnut cake, lotus paste bun and steamed turnip cake. A perfect family activity, the eating of <dim sum> is called <yum cha>, in reference to the great quantity of tea that is drunk with the meal. Dishes, usually steamed, are served in little bamboo baskets. You just stop the waiter and take one. You are then billed per basket at the end. Great fun! Sunday is the usual day for <dim sum>, but you’ll need to compete with everyone else in Hong Kong. This much talked-about restaurant is a dim sum place with a twist. Hugely popular, it’s always lively and full of action. Crazy dishes like shrimp har gau, deep-fried stuffed crab claws and poisonous stone fish are popular with locals, but the dim sum (served until 5pm) are the drawcard. Ask about the dim sum in animal shapes! A favourite with food critics, Dong combines an imaginative, mainly Cantonese menu, with upbeat décor and exemplary service. A great dim sum range with much interest in the roast goose and birds nest soup with minced partridge. Not far from the famous Ladies’ Market and bustling Nathan Road, this is one of the most famous and authentic <dim sum> restaurants. Outside of the <yum cha> crush, there’s the much talked about barbequed eel fillets or crispy smoked duck. It might seem a long way to go for a burger and fries, but be assured every conceivable style of western food is available throughout Hong Kong and Kowloon. In particular Italian, French, ‘Fusion’, Japanese and Thai proliferate with a quality that rivals their home countries. Why not combine an excursion to The Peak with a non-Chinese meal? At the top you will find a broad range of quality familiar take-aways, cafes and family-style restaurants with such names as Bubba Gump, Kyo Hachi, Tien Yi, Pearl on the Peak, (good ol’) Burger King and Eating Plus, all of which will complement a great day out. A great al fresco dining experience, Café Deco would have to be the pick of the Peak. With expansive seating, it’s easy to get a table for a large family and the comprehensive menu is sure to please everyone. If you get tired of the expansive view of Victoria Harbour, check out Hong Kong’s largest collection of art deco artefacts hanging from the walls. Book well in advance for the best tables. Café Deco is open 365 days a year. If you fancy a treat for yourself and the kids, then head to this upscale hotel for Sunday brunch when kids under 1m tall eat free. Kids under 12 are not permitted Monday-Saturday. Great for top shelf western cuisine like Wagyu beef, sashimi and oysters. You’re on holidays, right? When you’re done dim summing and the kids are ready to revolt, head for Al’s Diner in Central where they can indulge themselves in Al’s all-American menu. Burgers, hot dogs, sandwiches, chilli, meatloaf, macaroni and cheese, milk shakes, ice-cream floats, banana splits – it’s all here. Do it for the kids. Mainland Chinese sometimes stick their chopsticks into a communal bowl. This is frowned upon in Hong Kong. Look for special serving sticks or spoon. Flipping a half-eaten fish over on the plate is bad luck. You’ll capsize the fisherman’s boat. Remove the bones instead. Don’t worry if people put their fish bones on the tablecloth next to their bowl. It’s normal. Just don’t do it at home! It’s polite to accept tea during a meal and make a point of thanking the waiter with a light tap on the table and a quick smile. Hang the lid on the handle for a refill. Chinese love toothpicks and its good form to use one after a meal. Shield your mouth with your other hand while doing so. Don’t leave chopsticks poking upright out of your rice. It’s bad luck. Star ratings are provided by HK Magazine’s 2006 Restaurant Guide, Hong Kong’s most respected independent dining guide. Be the first to read new stories here. Add your e-mail to my update list. All material, unless otherwise noted, is copyright to the author and may not be used, reproduced or mirrored without express consent in writing. Permission is not specifically sought for linking, although the author does appreciate notification.